Employee activities, office parties, and corporate events are way more fun when you add ice cream to the mix. 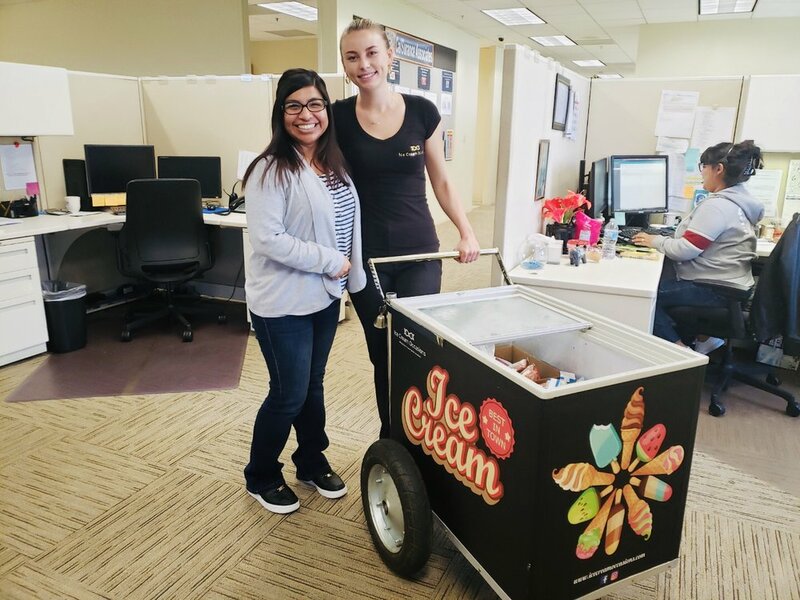 Rent an ice cream cart filled with your favorite from our selection of ice cream or with your favorite frozen treats with our Custom Branding / Rental options. For a complete list of ice cream catering options and service, please see our menu.